Recently I was chatting with a former colleague from my days as an atheist and legal editor at the Chicago Tribune. "You were the last person I ever thought would give up journalism to go tell people about Jesus," he said. "You were one of the most skeptical people I knew. If I told you the deli down the block had a good sandwich, you wouldn't believe me until I produced a dozen restaurant reviews plus a certified chemical analysis of the ingredients from the Food and Drug Administration." That's an obvious exaggeration, but, yes, my background in journalism and law did tend to amplify my naturally doubting personality. The newsroom, with its prevailing attitude of scoffing skepticism, was an ideal environment for me. And yet, ironically, it was my skepticism that ultimately drove me to faith in Jesus. That's because my wife Leslie's newfound belief in Christ provoked me to investigate the historical underpinnings of Christianity, confident that my strategic objections would end up undermining the entire religion and rescue her from this "cult". To my dismay, the data of science (from cosmology and physics to biochemistry and human consciousness) convinced me there was a supernatural Creator, while the evidence from history satisfied me that Jesus of Nazareth was resurrected from the dead, confirming his identity as the unique Son of God. The inexorable conclusion that Christianity is true prompted me to put my trust in Christ and later leave my newspaper career to spend my life telling others the story of his atoning death on their behalf. However, my skeptical nature didn't entirely dissipate. Did I believe in miracles? Yes, of course, I was convinced that the resurrection and other miracles occurred as the Gospels reported. But that left open the question of whether God is still in the miracle business today. I did agree with pastor and author Timothy Keller, who said: "There is nothing illogical about miracles if a Creator God exists. If a God exists who is big enough to create the universe in all its complexity and vastness, why should a mere miracle be such a mental stretch?" Theologically, I was not in the camp of the cessationists – Christians who believe that after the apostles died and the New Testament canon was established that signs and wonders ceased and we shouldn't seek them today. On top of that, I had seen God's mysterious work in my own life. For example, one day during prayer I felt prompted to get an anonymous 500 hundred dollar cashier's check and send it to a young lady in our church who was struggling to recover from a life of abuse and financial difficulty. Leslie prayed about it and felt precisely the same urging. We knew this wasn't something conjured from our own minds because that amount constituted almost all of our bank account at the time. Specifically, we felt compelled to mail the check so it would arrive the following Monday. On Monday morning, before the mail's delivery, the young woman called in an absolute panic. "Please pray for me," she pleaded. "My car broke down Saturday afternoon, and they said it will cost almost 500 hundred dollars to fix. I just don't have the money! I don't know what to do!" "Okay," I said, trying to conceal the buoyancy I felt inside. "Leslie and I will pray for you." That afternoon, she received the anonymous check – and Leslie and I experienced the joy of being the answer to someone's prayers. Coincidence? I suppose it could have been if it weren't the only such head-scratching incident we have experienced in our Christian life. To me, it fit an ongoing pattern of God listening and supernaturally responding. The big issue, however, is whether belief in supernatural occurrences is based on mistake, misunderstanding, fraud, legend, rumor, wishful thinking, confirmation bias, the placebo effect – or reality. In other words, does a miracle-performing God actually exist, and has He left His fingerprints all over supernatural events through history down to the present age? Is He even available to intervene in your life today? That's what I set out to determine in writing my new book. 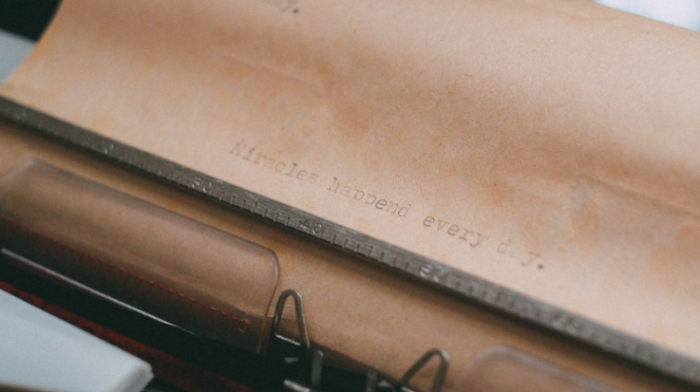 While I'm a committed Christian whose convictions are widely known, I was truly interested in testing the strength of the case for miracles. 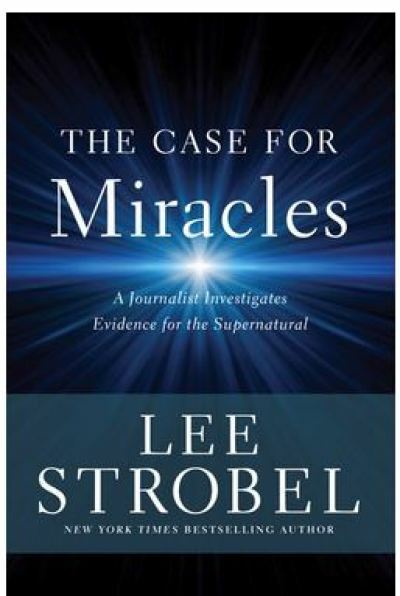 Professor, pastor and author Lee Strobel's next book, The Case for Miracles, is out March 27. Visit his website at www.LeeStrobel.com, and follow him on Twitter @LeeStrobel. How Do I Uphold My Beliefs Without Condemning Others?